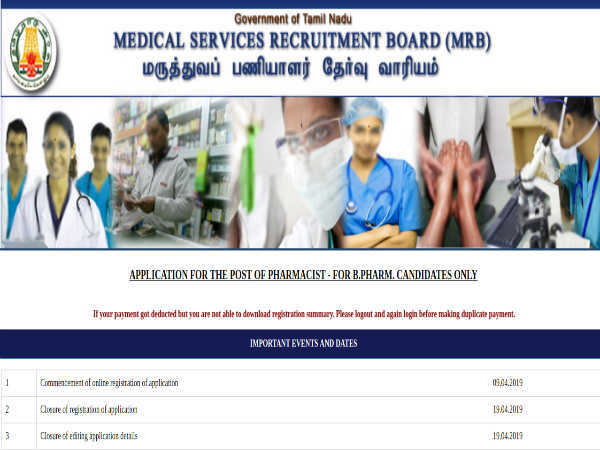 Tamil Nadu Public Service Commission has invited applications from candidates for the post of Mass Interviewer in Department of Public Health and Preventive Medicine. The salary scale for the selected candidates will be in level 8 pay matrix. The application fee and the exam fee cost INR 150 each. Currently three vacancies have been announced but it is subject to be modified according to the requirement and discretion of TNPSC. The recruitment exam will be held in Chennai, Madurai and Coimbatore. On the home page, click on the link that reads, One-time Registration. Follow the link - http://www.tnpsc.gov.in/notifications/2018_20_Mass_Iinterviewer.pdf to read the detailed official notification.